JC Manufacturing has been building pontoon boats for over 40 years with a heritage in the boating business that began in the mid-fifties. It has always been our goal to build a boat that is comfortable and practical without losing the ability to perform. Our original TriToon hull, designed over 40 years ago, was the first successful integration of deck boat performance into a luxury pontoon and continues to be our favorite choice for a smooth ride in rough water. We now offer a new generation of performance from JC based upon the TriToon Sport Hull with standard lifting fins and power-assisted hydraulic steering. This modern hull design gives our boats more speed and better handling than anything we have built in the last 40 years. Welcome to those who are considering a JC pontoon boat for the first time, and special thanks to our loyal returning JC owners who have supported us over the years. 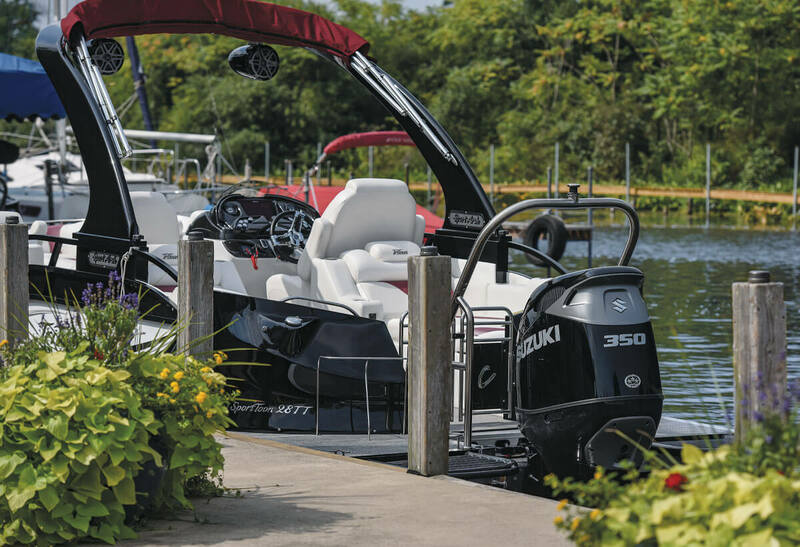 U-shaped pontoons offer greater volume and carrying capacity (1-2 person increase on average). Ride higher and drier. U-shape prevents water from getting on top of pontoon and weighing it down. Traditional round tubes used by competitors yields to more resistance and decreases the boat handling because the hull sits deeper in the water.